gam n [perh. short for obs. 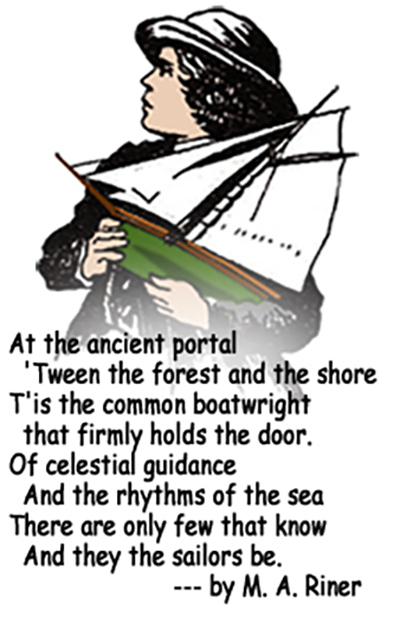 gammon (talk)]: a visit or friendly conversation at sea or ashore especially between whalers. 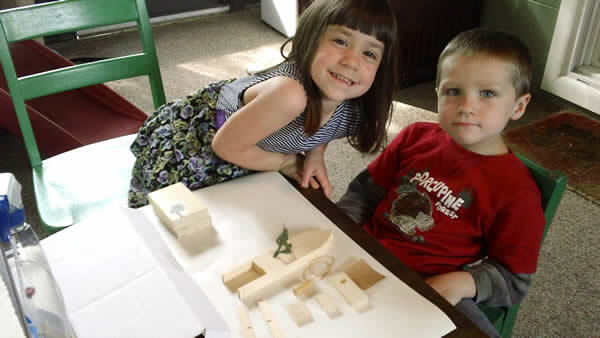 The twins were excited to build something on their own. My girl was eager for photos, while my boy was eager to try out some military maneuvers with the paddle wheeler. 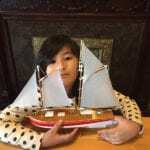 Just a note to tell you how much my daughter and I are enjoying your ships. 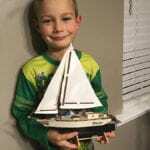 She’s seven now, but we started building ships from Seaworthy two years ago. 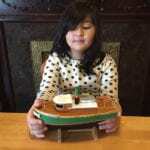 I’m sending pictures of the one she built as well as two boats that I built with her help. We love your products! You and I spoke about Ella having all of her models on the mantel. We have five boats up there. 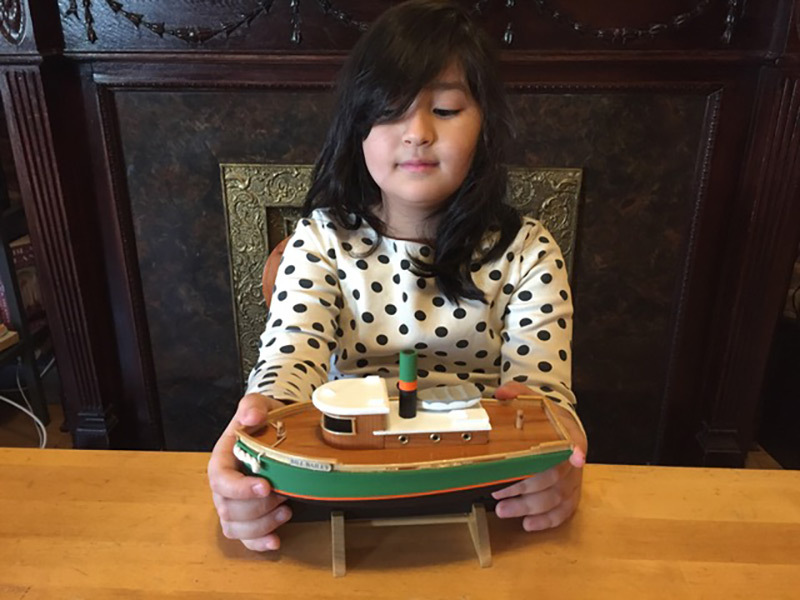 She’s six, she’s built one of your models just about every year that she’s been alive. 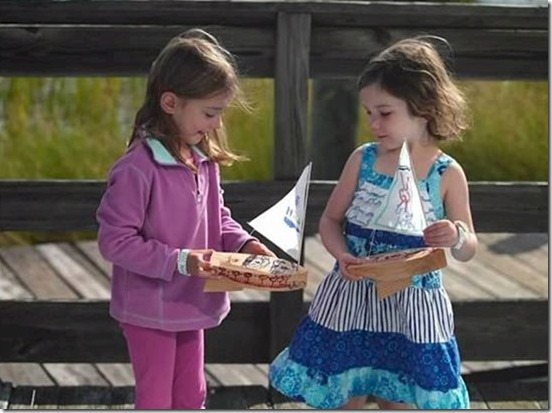 We appreciate the time you take during the Mid-Atlantic Small Craft Festival events. 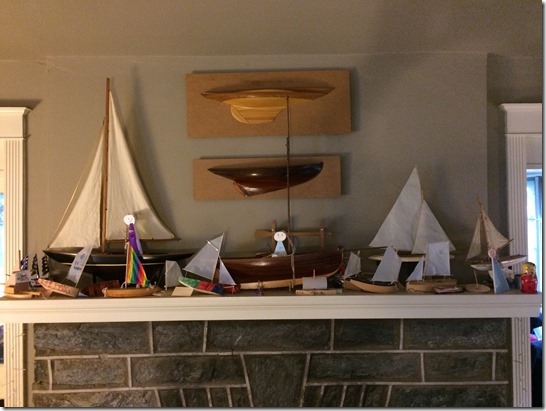 Attached are two pictures; one of the mantel with the boats, and another showing Ella and another young one enjoying their boats two years ago. 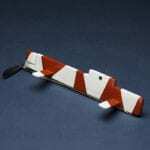 I’m glad I decided to take a chance on the semi-scale models – people are loving them! As such, I would like to order. . . .
First I’d like to complement you on your website and the wonderful models that you have available. 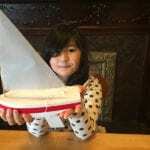 I’m interested in buying one of your semi-scale boat kits as a Christmas present. 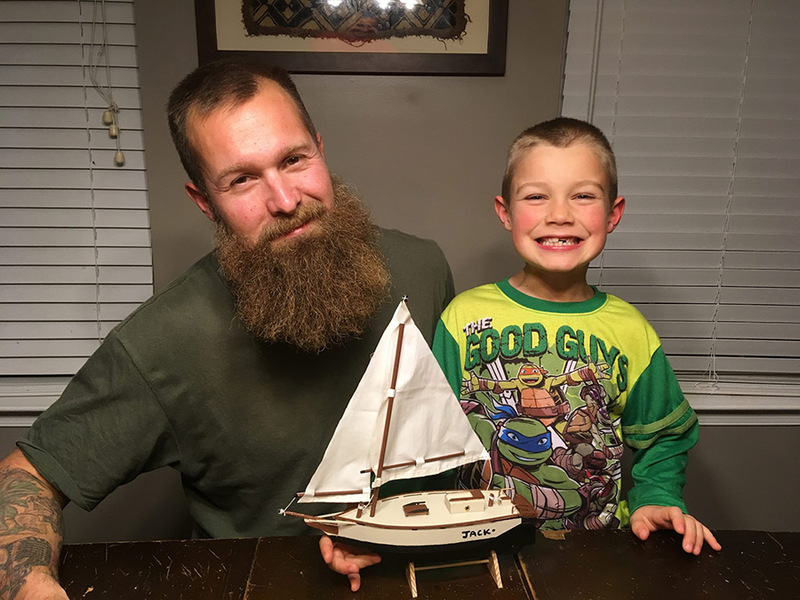 I just wanted to pass along a well deserved “Thank You”–in this world of mass produced, media hyped toys, it is wonderful to know I can still find a suitable “Toy” to share with my kids–my 6 year old son & I just finished the Neon Tetra & cannot wait till we test it. Keep up the good work. I can’t wait for Mom and Dad to order my first kit. The Coaster is for my granddaughter, 1 year old Hanna (and her Daddy). The Coaster will be named “Palestine” after a schooner my Grandfather sailed on in 1889. 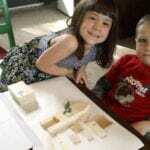 The Coaster (Palestine) will be a special gift to Hanna and my first born. I received my Cricket sloop 2 days ago and all I can say is WOW. 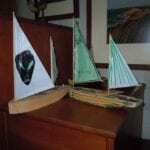 It took me only half an hour to put together the hull and the sails and the sea trials were terrific. I had doubts about it’s speed but that boat cut through the water. It was amazingly stable and you’re right, it IS unsinkable. Whoever designed this should get an award for designing the best model sailboat in the world. 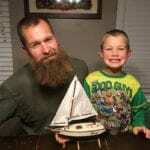 My son and I wanted to tell you how delighted we are with the two ship models that I purchased…They are the “Skipjack” and the “Scorpion” and we had a ball sailing them…My son was impressed with how speedy the little “Scorpion” was and I was impressed by the way the “Skipjack” caught the wind and moved about like a real sailboat. I just placed an order for a couple of your kits. They are gifts for my grandson who’s turning six in a couple weeks. After exploring your website, I wanted to congratulate you on your amazing products, activities and outlook. Thank you for making what I can tell is a terrific product and also for what you’re doing for our craft and our kids. It was great to see you both working the Seaworthy Small Ships booth at Baltimore Harbor during Sailabration. 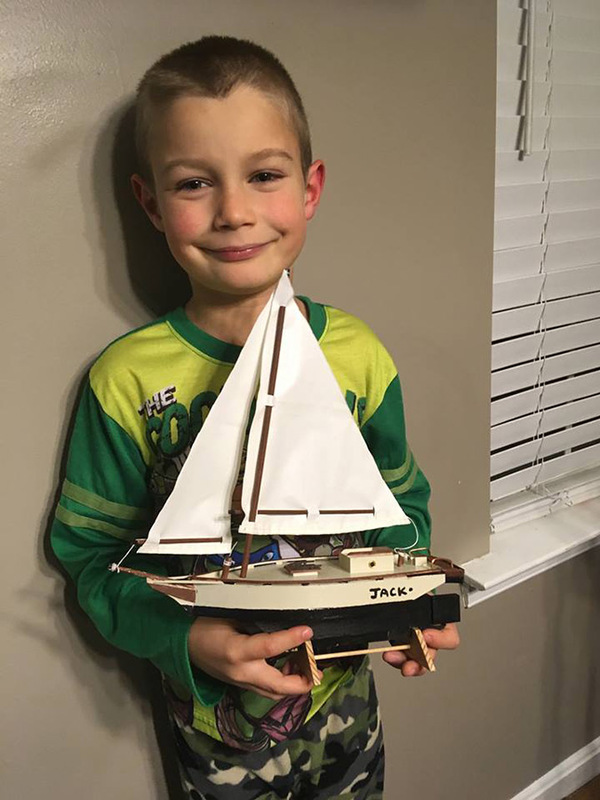 I approached you to share the story of my 22 year old son who made your boats at St. Michaels TCSA meets when he was very young. He went on to build a surfboard, kite board, and electric guitar. He recently moved to Seattle to work for Microsoft and did not want to leave his boats behind. Thought you’d appreciate a photo. Thanks so much for your hard work. It is very appreciated. It always has been. 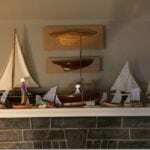 Thanks so much for your seaworthy small ships!… Your vessels continue to amaze and delight us with their remarkable sailing ability. Regarding the “Neon Tetra”: The difficulty level was just right for a six year old. The pre-drilled holes were great. On Saturday we were waist deep in the pool. It passed the float test with flying colors, looking very sub like. The fun started when we wound it up. I confess I had doubts about the torque from the prop but it dove under the surface, traveled across the bottom and did a very realistic climb to the surface. All that to the total amazement of an extremely thrilled 6 year old. It is a great kit and made for a fun weekend. I must say my son & I both were delighted with the Neon Tetra submarine!! Your kits are the most innovative/creative I’ve seen in years. Anyhow, enclosed please find a check for the Cricket sailboat. P.S. We tested the sub last night and it really does perform as promised. 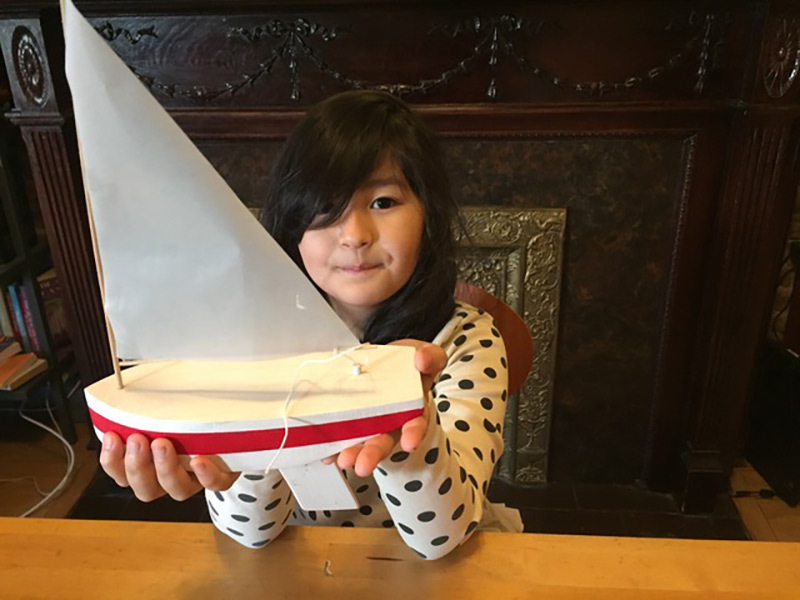 I recently completed one of your Skipjack kits and I am writing to tell you what a delight it was to build…I sent my little ship on her maiden voyage on the pond behind my home and she sailed beautifully! A few strong gusts caught her abeam and canted her on her side, but she quickly righted herself and sailed on…Thank you for producing a kit that was a delight to build and sail. I enjoyed making the “Polliwog” in fact I made three…I have been spending my retirement making toys of all sizes and shapes for grandchildren-great-grand-kids and a few day care centers. 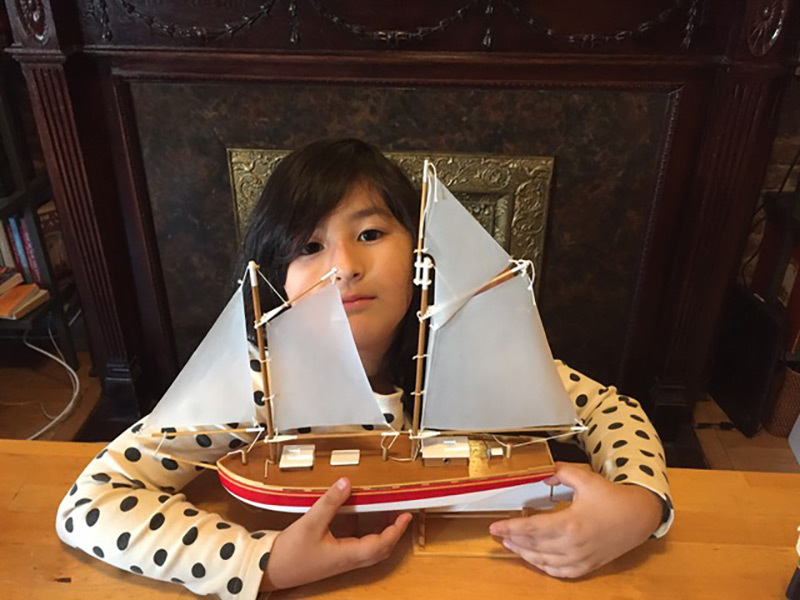 Boat plans for toys seem to be hard to find…Thanks again for a neat ship to model. 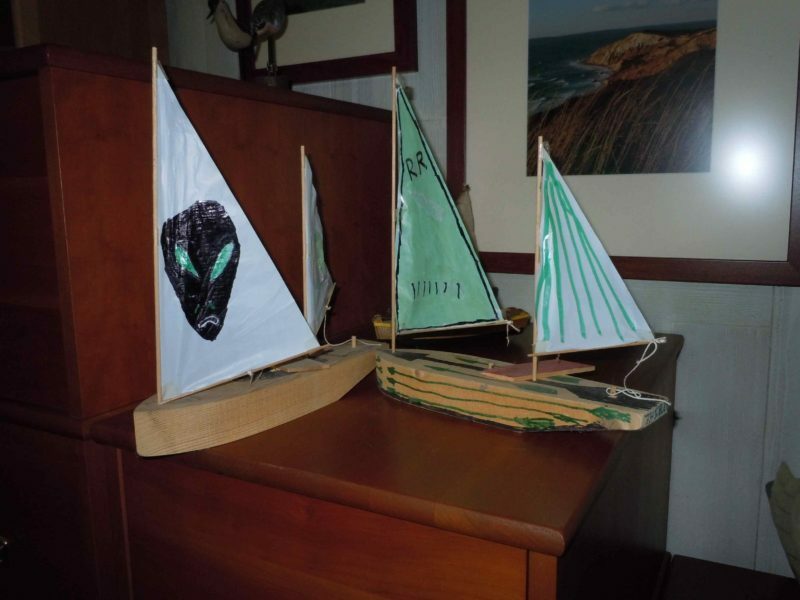 Enclosed is a snapshot of “Grandad’s Sloop” (“Shiner”), 6 of the 7 I constructed as gifts for children at All’s Children’s Hospital…They were fun making and without saying, well received. 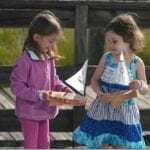 I’ve had a great time building and sailing the “Polliwog” I built from plans…It’s been a big hit with the kids at our park.